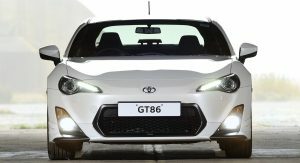 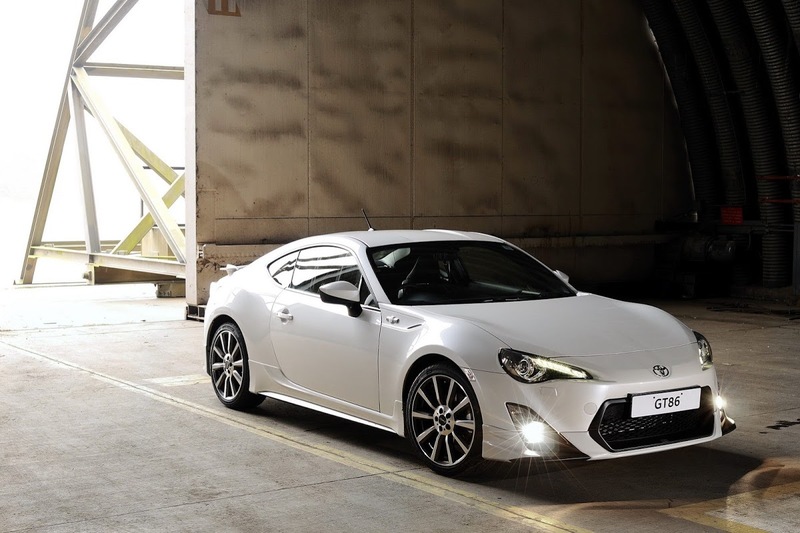 Toyota has announced pricing for its first ever UK model grade to feature genuine parts from its tuning and motorsports arm, the GT86 TRD (Toyota Racing Developments). 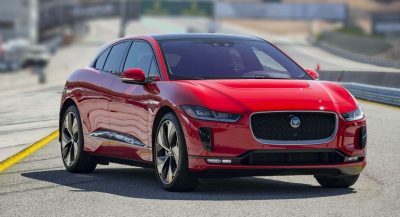 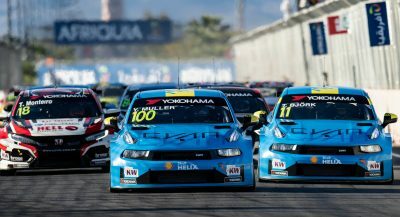 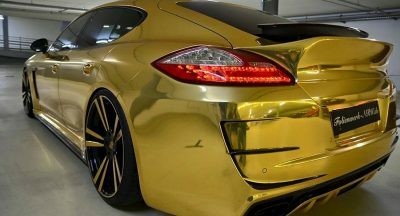 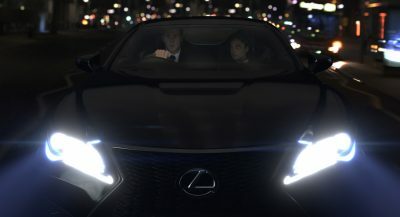 Only 250 examples of the car will be offered in the UK, with sales to start from 1 March at on-the-road prices set at £31,495 for the 6-speed manual model and £32,995 for the 6-speed automatic version. 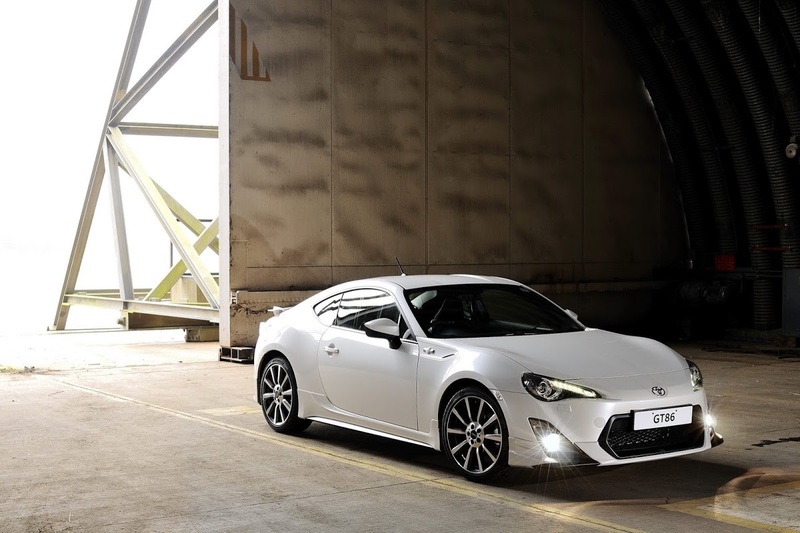 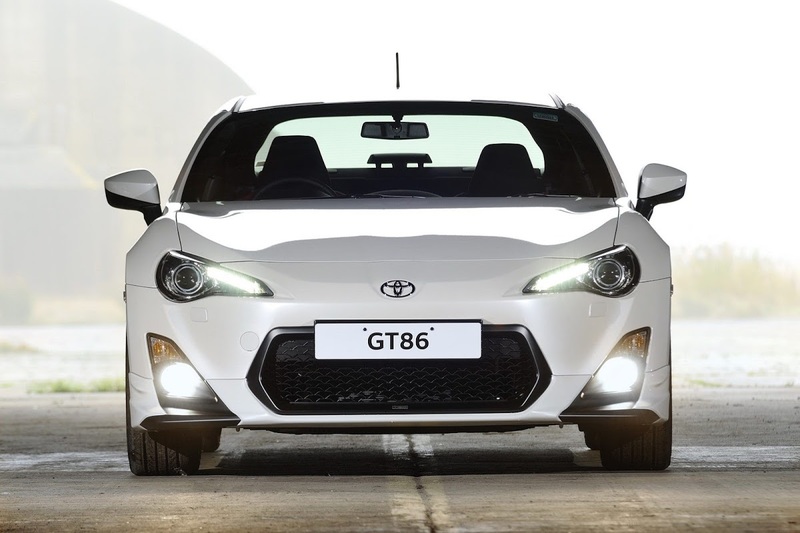 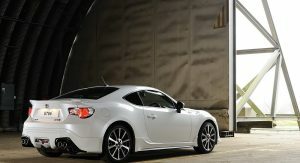 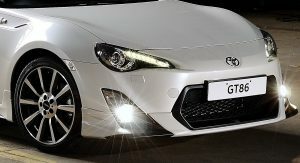 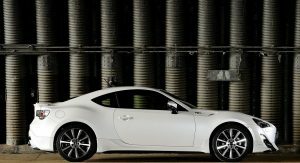 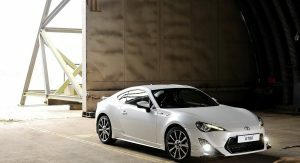 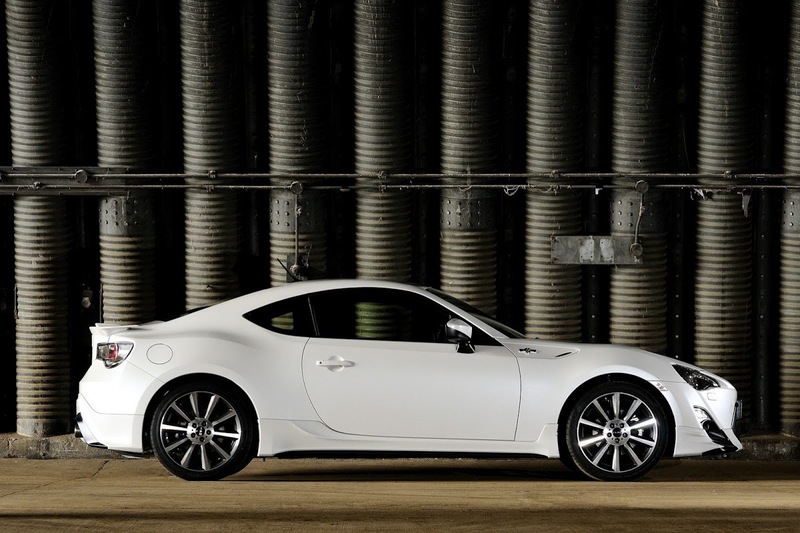 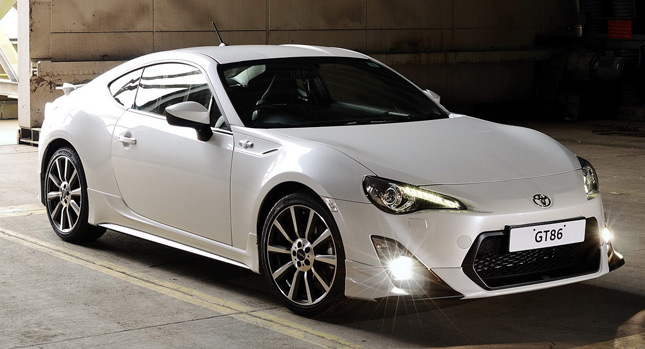 Available in a choice of two colours, Pearl White and GT86 Black, the TRD-prepped model won’t bring any engine upgrades over the regular model, as the focus is on improving the GT86’s styling and aerodynamics. 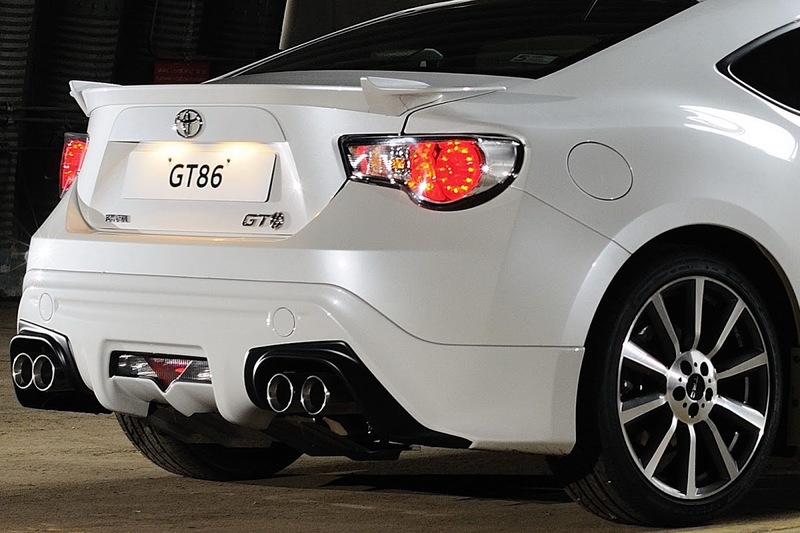 The TRD package includes 18-inch cast TF6 alloys, deep front and side skirts, a rear bumper spoiler and a quad-exhaust system with a rear diffuser on the outside, plus a branded radiator cap and fuel filler cover and a new TRD gearshift lever on the inside. 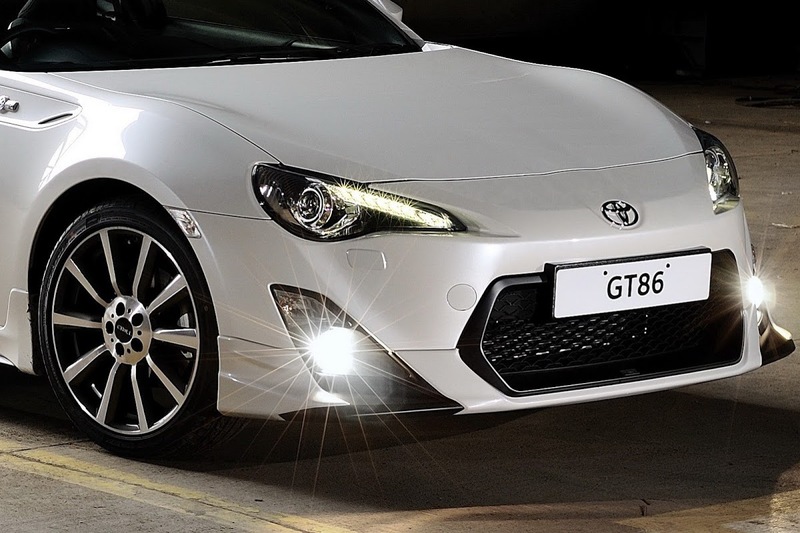 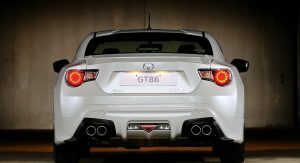 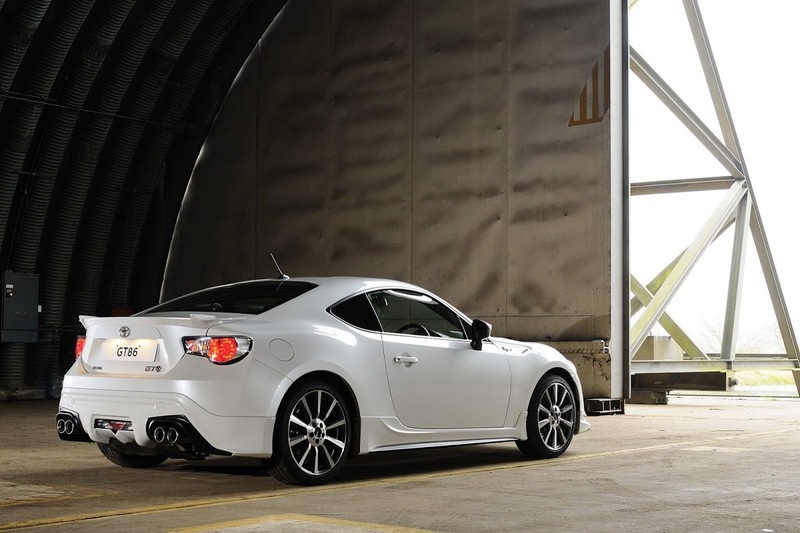 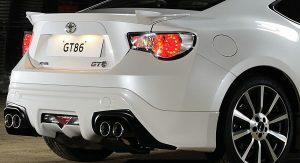 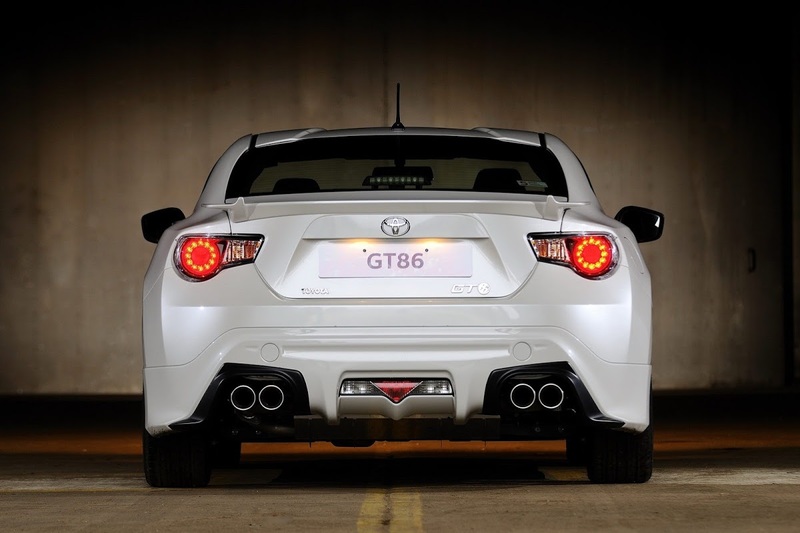 Since there are no engine mods, the GT86 TRD’s acceleration and maximum speed remain unchanged at 7.7 seconds for 0-62mph (100km/h) and 140mph (225km/h) for the manual and 8.4 seconds and 130mph (209km/h) for the automatic.